View More In Cable Staples. 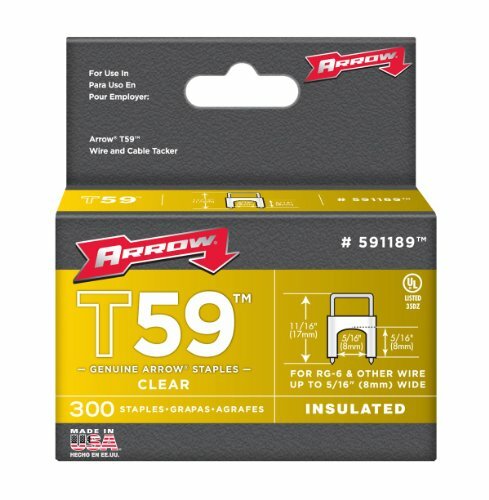 The Arrow Fastener T59 5/16-inch by 5/16-inch clear insulated stainless steel staple is a genuine Arrow fasteners. Designed for use with The Arrow Fastener T59TM wire and cable tacker. Each box has 300 pieces, and is ideal for installing telephone wires, TV cable, computer cable, intercom cable and security systems. Is also perfect for RG59 Quad or RG6 wire. Stainless steel construction for corrosion resistance.